Scuba diving has been my passion for the past three years. It started innocently enough with seeing little Nemo for real and at first, I had no idea that it would start a love affair that would influence all my future travels. These days chances are if there is no diving at a destination I am not that interested in going and more than ever do I think Ariel was a big idiot to give this magical world up, for a mere mortal nonetheless. Therefore I was incredibly excited when LiveAboard.com invited me to join one of their boats, the Emperor Raja Laut on a trip through Raja Ampat, Indonesia. 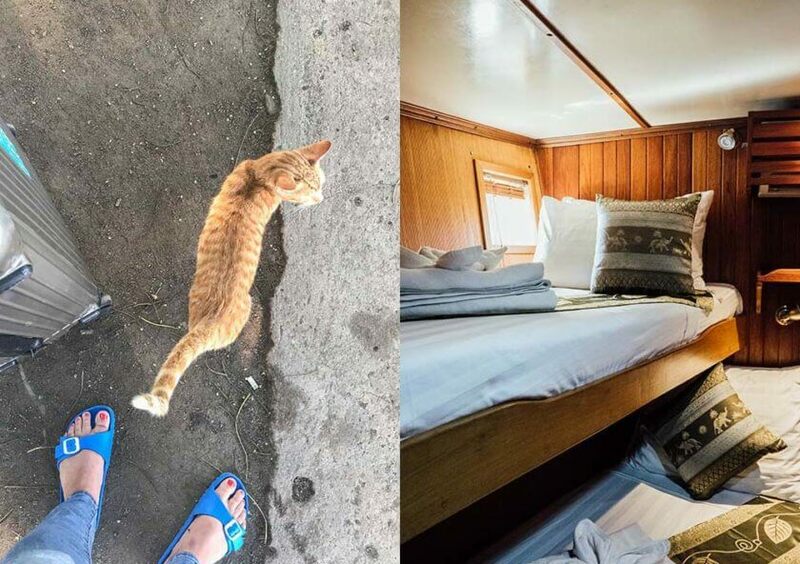 Liveaboards are essentially cruises for divers and often the best way to explore a region and its dive sites especially if you are traveling through remote areas. 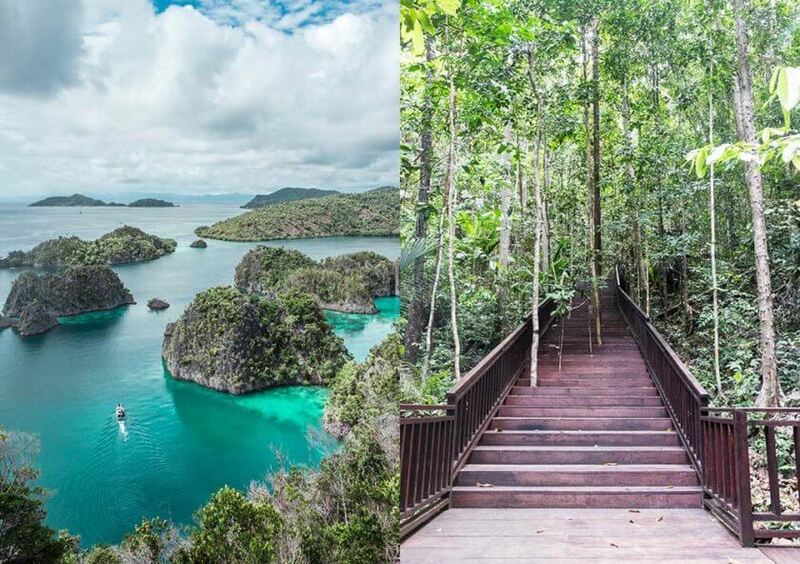 Raja Ampat is in the east of Indonesia just off the coast of Papua and its name means “Four Kings” which relates to the area’s main islands. 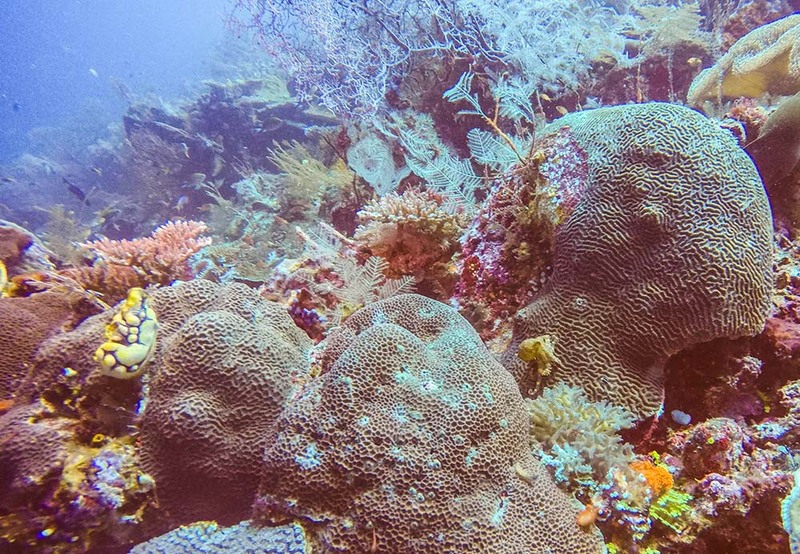 Much of it belongs to the Coral Triangle and is conserved as marine park area – an underwater heaven for scuba divers. From giant mantas to tiny pygmy seahorse you can tick much off your diving wish list here. 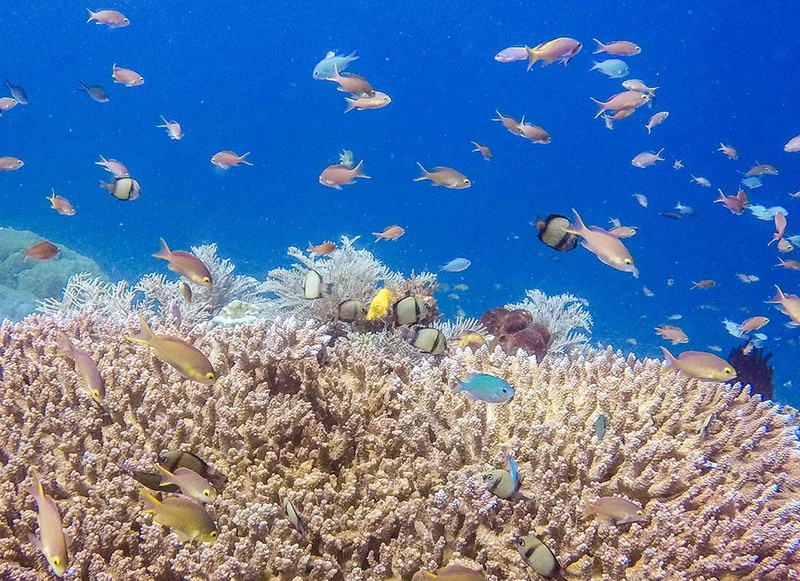 The coral reefs in the area are incredibly pristine and healthy and one dive site, Cape Kri, even holds a special claim to fame: 374 species of fish and marine creatures have been spotted here on a single dive – a world record! 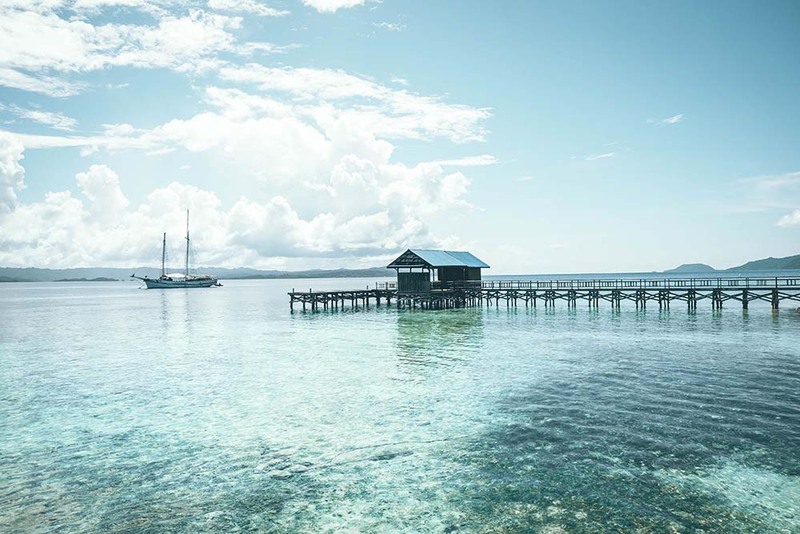 The Raja Laut is home to six cabins, an outside and inside common area, a dive deck for tanks, compressor, equipment, and two dinghies that take you to the actual dive sites. 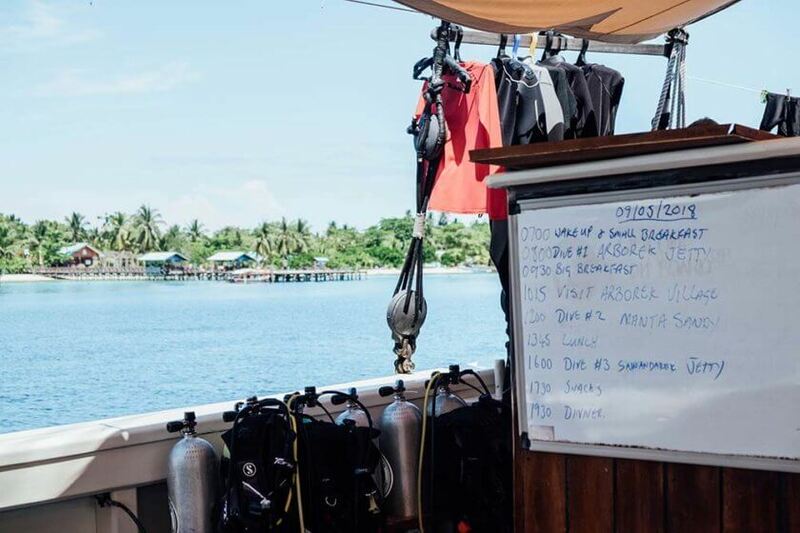 Plenty of staff above and below the surface make sure that you have an incredible diving holiday – all you have to do you is get into your wetsuit (unfortunately the most dreaded task for any diver!). 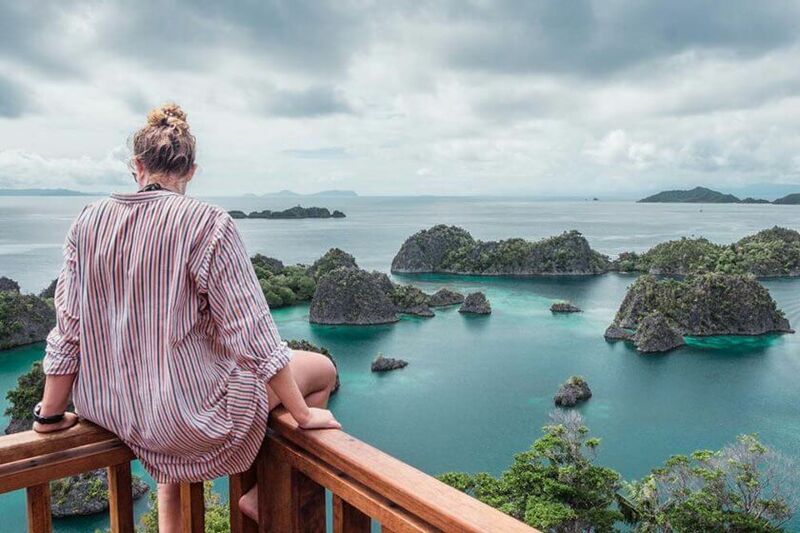 Since Raja Ampat is a marine park you will need a permit (approximately $100 and valid for one year) in order to go there which operators in the area will sort for you. The Emperor likes to do their part to help with conservation too. 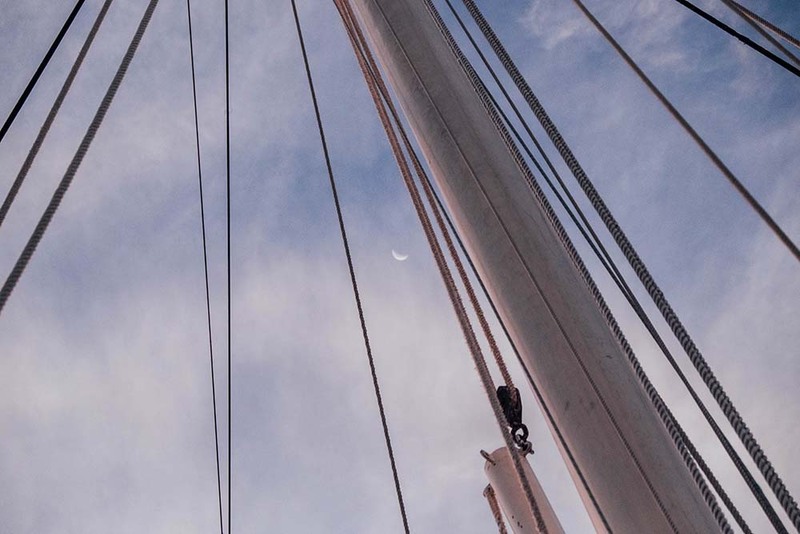 Onboard, you get your own refillable water bottle and unlimited filtered water, breakfast smoothies are served with bamboo straws, and the use of reef friendly sunscreen is highly encouraged. 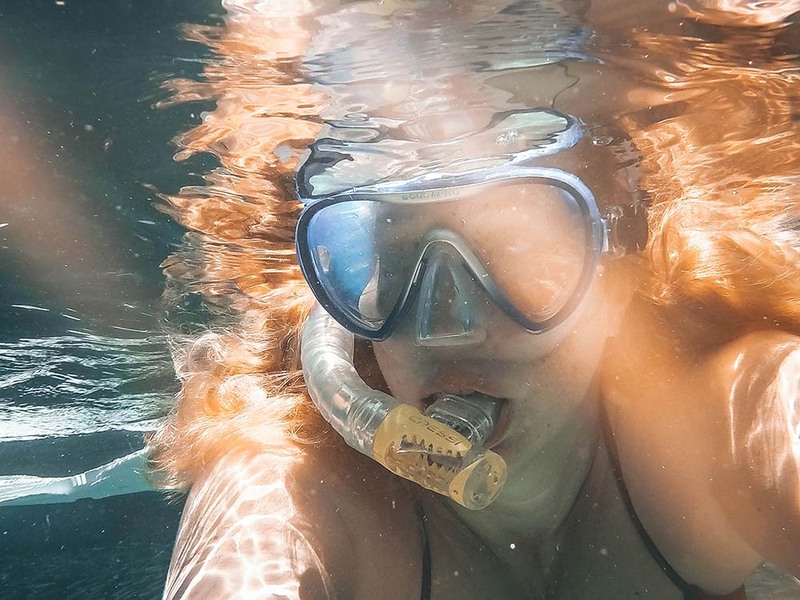 During each briefing, you are reminded to not touch anything you come across underwater – take only pictures, leave only bubbles is the motto here. After leaving Sorong, the unglamourous gateway to Raja Ampat, we are on our way. First on the agenda is a trial dive to check equipment, weights, and buoyancy skills of each diver. Diving in Raja Ampat can be challenging at times so a minimum of 30 dives is recommended for you to get the most out of the experience. After the first dive, we have the rest of the day for chilling onboard and soaking up the views. Each day brings 3 – 4 dives so it is just as well that nobody minds me turning in early to make friends with my bed. 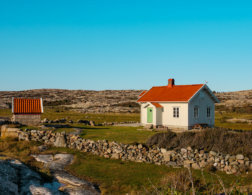 Cabins either come with twin bunk beds or a double bed and while they are comfortable with aircon and an ensuite bathroom, they are quite small – pack as light as possible! John, our cruise director, is our personal alarm clock and up bright and early in the morning – we have a full schedule ahead of us. Small breakfast followed by the first briefing and dive, big breakfast (yes, I would do well as a Hobbit! ), surface interval, second briefing and dive, lunch, snooze, third briefing and dive before we cruise on for our night dive which is topped off by hot chocolate when we return to the boat. After reading The Swarm just before coming on board, a book about sea aliens and scary wales (great read, I just don’t recommend it before a diving trip), I am almost a bit apprehensive to get back underwater. But to my utter delight, diving is once again like riding a bike and as soon as I see my first shark, I wave and smile and don’t really stop for the rest of the trip. Dive, eat, sleep, repeat quickly becomes a routine and it seems I am either busy putting on my wetsuit, praying to Neptune for a frogfish and an Orca or catching up on sustenance between dives (at least that’s what I am telling myself when I have eggs AND noodles for breakfast). While most time is spent underwater, we also explore Bingtang Bay from a viewpoint on Pianemo island. 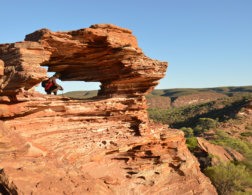 To get to this iconic viewpoint you will need to do a short trek up 300 stairs. Don’t forget your camera and don’t sit on the railing! You may or may not end up on your bum, legs up on the platform in an attempt to get off without falling onto the very sharp karsts below. Always fun when surrounded by a bunch of tourists with cameras. 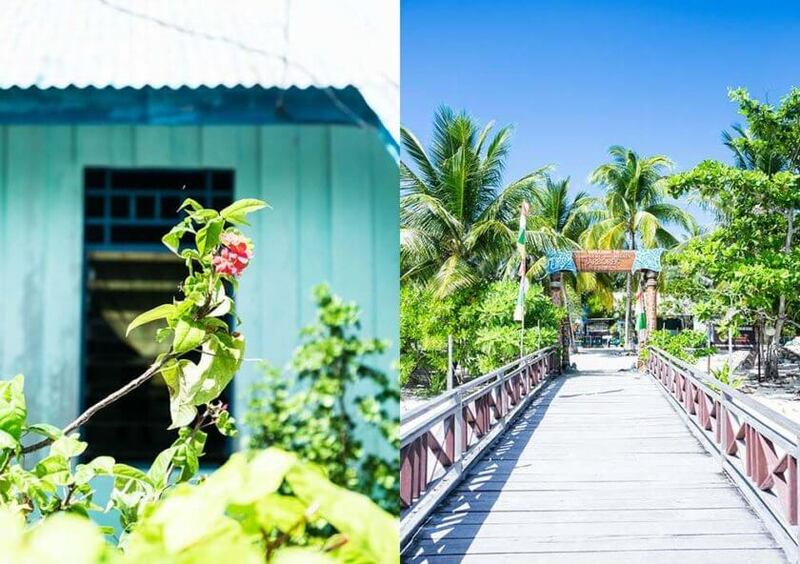 Another excursion finds us at Aborek village, a tiny island with a few homestays and about 200 inhabitants. Their jetty dive is world famous and I recommend you take some extra time for a snorkel as most of the action happens right below the surface under and around the jetty. Raja Ampat’s most famous dive site, Cape Kri, quickly becomes my favorite dive of the entire trip. While I cannot quite count all of the 347 species, we get to see huge shoals of barracuda and sweetlips, a wobbegong and some blacktip reef sharks, and also a very elusive blue-ringed octopus that is just in the right mood to pose for our cameras. We spend our last night on an almost deserted island where a beach BBQ is in order. To my utter delight, we are not quite alone because a feral cat family lives here and they don’t mind making friends with us and our leftovers. Needless to say, I am incredibly tempted to sneak a kitten back on board. During our last morning, we set sail (usually the Emperor uses its motor), quite a task for our crew who all have to help including Lee our head waiter and bearer of hot chocolates. 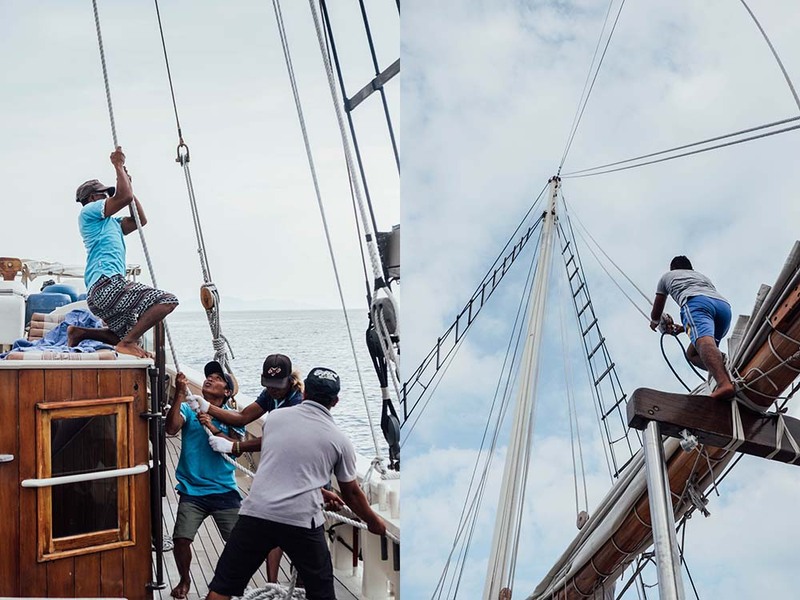 Once all sails are up, we board our dinghy to circle the boat and yes, you guessed correctly, take some photographs. While the sight is impressive I am happy that for once it wasn’t me who asked for the photo op – setting sails is no easy task. 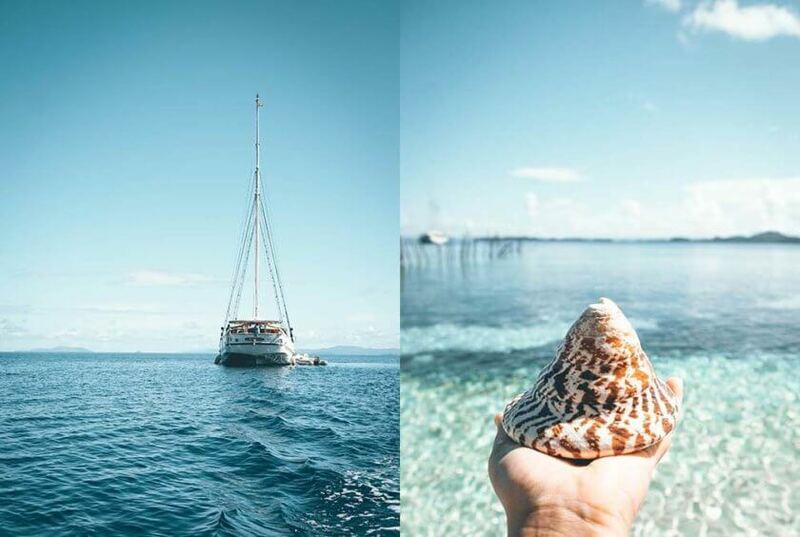 Time flies when you are playing mermaid and in what seems no time, I arrive back in Sorong with a tan, pruney feet and a big smile on my face while still humming “Sail Away” and “Under the Sea”. Picture editing of batfish & Nemos is on the agenda for my last night in town which is just as well because I already miss them all and wonder once again why Ariel wanted to leave her friends for a mere mortal. As I am traveling long-term right now I only brought half of my Scubapro dive gear, namely mask, fins, wetsuit, and computer. While I would have loved my own BCD and regulator, I rented from the Emperor which was well maintained and worked just fine. Ultimately, it depends on the length of your trip and the costs of excess luggage versus rental prices if you want to bring your own gear. 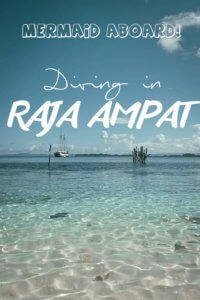 Water temperatures were usually around 29/30 degrees in Raja Ampat so it is entirely up to you what you wear. One of the girls on our trip would usually dive in shorts and a rash guard, I wore my trusted full 3mm wetsuit while another girl even wore a full 5mm one. Just remember that you tend to get colder the more dives you do in a day so maybe bring a couple of options. Take a minimum of 3 bikinis or bathing suits so you can always change into a dry one after each dive. A few comfy cotton dresses, elephant pants and something long-sleeved for the evening and in case it gets rainy. Camera or GoPro with underwater housing and an extra battery pack. Don’t forget your red filters as you lose colors the deeper you dive. I also brought my dome – dive sites like Arborek Jetty are perfect for some under/over water shots. Reef friendly products: I use the sunscreen from Stream2Sea as well as coconut oil for my hair. Classic Johnson’s baby shampoo doubles as shampoo and mask cleaner. 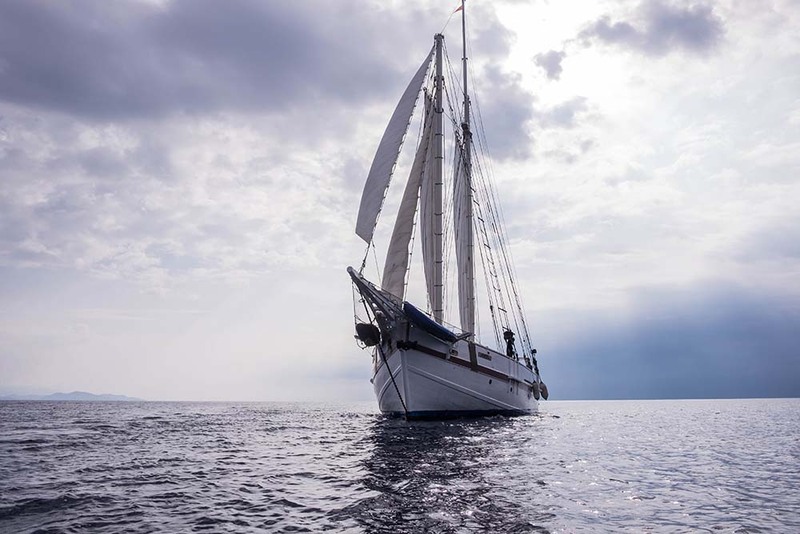 LiveAboard.com offers liveaboard trips all over the world, covering premier scuba destinations like Raja Ampat, the Maldives, Great Barrier Reef and some of the best liveaboard fleets. 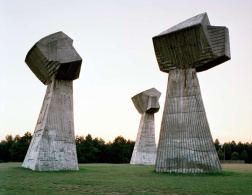 Whether you are interested in wreck diving, cold water diving or photography, they have trips for every interest. Perfect to compare multiple boats, areas, and prices on one site. Trips vary in length depending on the season and the liveaboard but generally, they will ensure to get you to the best possible dive sites in the area you choose during a given season. Liveaboard trips usually include accommodation (sharing basis), three meals as well as water, coffee, and tea, and all dives. Most operators charge extra for equipment, nitrox, 15l tanks as well as alcoholic beverages and marine park & port fees. Also – do not forget to tip! 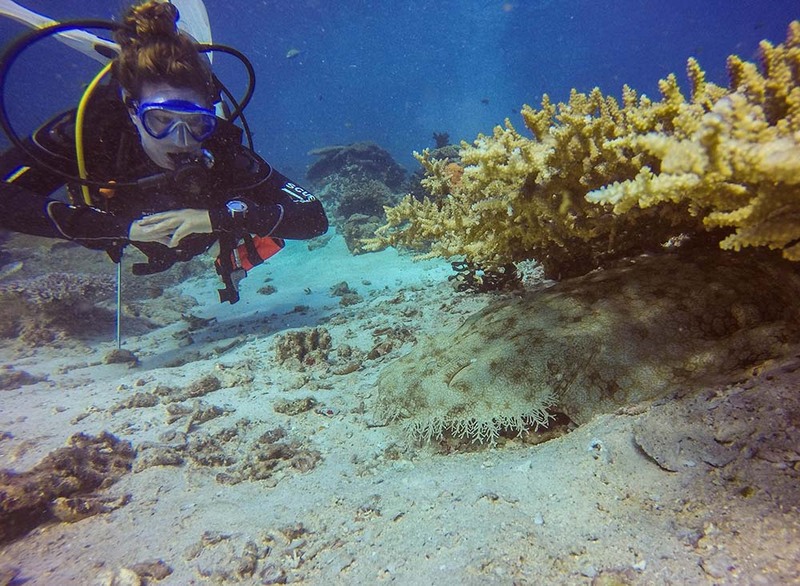 An added bonus when booking a trip with LiveAboard.com – you will have a dedicated team of qualified divers answering all your questions to make sure you get the best liveaboard experience according to your diving level and expectations. You can find details and booking information for my trip with LiveAboard.com here – thank you so much for having me! 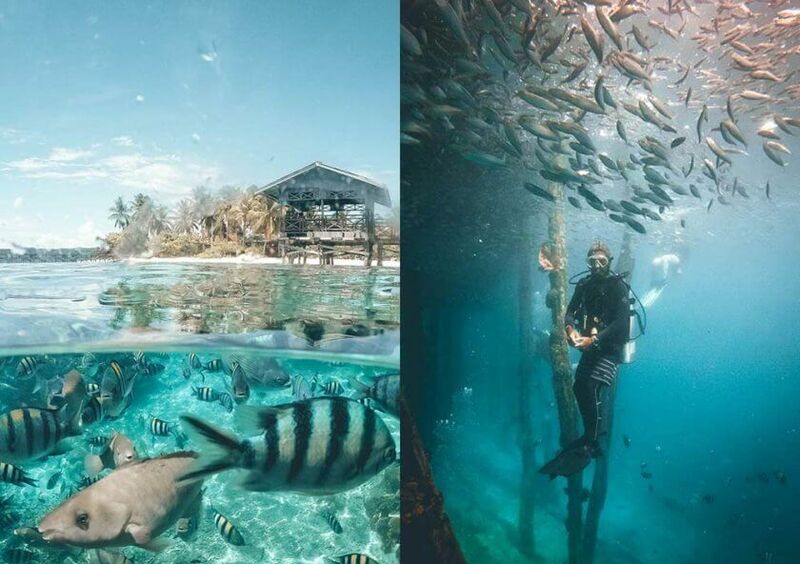 Oh do it - it is such an amazing concept for divers especially in far flung areas like Raja Ampat!